Equitop Myoplast special deal £10 off with this Nantwich Equine vets voucher for two months. Just print off the picture of the voucher below and bring it in with you. There are times in your horse’s life when the process of muscle synthesis is all important: youngstock are continually growing as they develop into equine athletes; following a training break or period of rehabilitation horses need to rebuild lost muscle; and when working hard muscles need ...to respond to training. Exercise stimulates muscle protein synthesis and this process requires the right fuel. Amino acids are the building blocks of protein within the body, and while horses are able to synthesise some of these themselves (non-essential amino acids), there are a number that they are unable to make and which therefore must be ingested in their diet (essential amino acids). Some of these amino acids are even growth limiting if not present in the diet. Your horse needs the right balance of amino acids to support muscle growth and recovery. Equitop Myoplast® is a unique and natural supplement for horses, which is packed with 18 key amino acids including 9 essential amino acids. The blend of amino acids in Equitop Myoplast provides the building blocks for efficient lean muscle development without horses becoming ‘fizzy’ or bulking up on fats and oils. 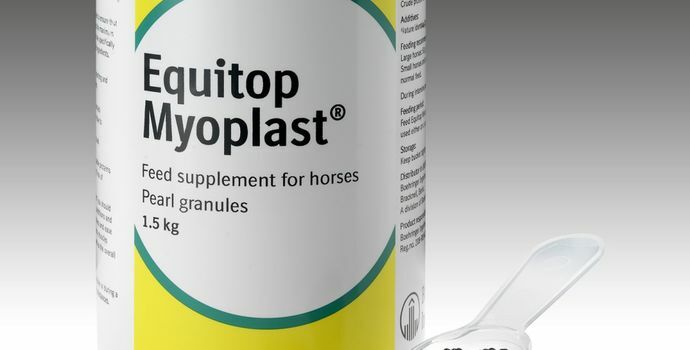 The product is used by Olympic Gold Medallist show jumper, Scott Brash, and four time dressage Olympian Richard Davison, who both use Equitop Myoplast in their horses to support healthy lean muscle growth and maintenance. Equitop Myoplast is recommended by veterinary surgeons and is the number one equine supplement sold by veterinary practices in the UK1. Myoplast should be fed for at least two months To see the difference Equitop Myoplast can make for yourself visit and ‘Like’ the Equitop Myoplast facebook page www.facebook.com/equitopmyoplast. 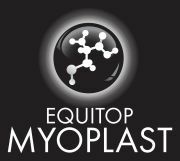 Further information can be found at www.equitop-myoplast.co.uk or contact the practice. 1 GFK industry sales data. Equitop Myoplast, MAT Jan 2017.